The World Organization of the Periodical Press (WOPP) was created in Brussels in 1960 by Arthur Desguin, at that time chairman of the Association of the Periodical Belgian and Foreign Journalists (Association des Journalistes Périodiques Belges et Etrangers) and was honoured with the presidency of honour of Vincent Auriol, former President of the French Republic. The World Organization of the Periodical Press took as prior mission the defence and the promotion of the periodical press worldwide. Its targets are to establish a permanent contact between all those who actively contribute to the periodical press (chief-editors, publishing secretaries, correspondants, press photographers, sound and vision technicians…) all around the world, and to defend the moral and material professional interests of its members.  The World Organization of the Periodical Press publishes the “World Periodical Press News”. According to its activities’ development as well national than international, the World Organization of the Periodical Press became the 4th of April 2006 an “international non profit organization” (a.i.s.b.l.). At the dawn of the 21st century, the Organization, as well as many others, have to respond to numerous challenges. The press is living a complex and multidimentional crisis. In this difficult context, the members have to continue respecting the professional ethic rules (deontology) specifically to their profession and, especially the objectivity.